We offer Butterfly Waste Paper Baskets. These waste paper baskets have diameter 9. 5 inch & height 10. 25 inch. They are available in attractive colours. Size: 11.5" x 8" x 12"
A hexagonical receptacle that will look charming and respectful at the feet of the grandest writing table or in a Patio corner. Store carbon at your feet while you are at it. These bins are made from recycled handmade marbled/mottled/paper/ board. Elegantly designed these waste paper bins are available in a range of colors, designs and sizes. Each design sports an elegant look makes an ideal product for environment friendly offices. 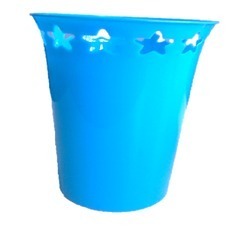 We are a well-known name, involved in providing an extensive series of Plastic Waste Paper Basket. 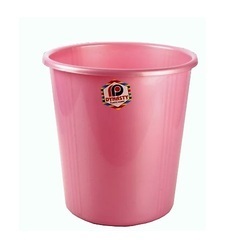 Matching up with the ever increasing requirements of the customers, our company is engaged in providing Waste Paper Basket (Waste Paper basket Two Compartment).